Advent begins in six. days. Y’all. SIX. I wish I was joking. But I’m as serious as a profound case of Vitamin D deficiency right now. SIX. Where’s the Advent wreath? Why is it bent into the shape of a trombone??! Why does this purple candle look like someone took a bite out of it? It’s a candle, people, not an apple!! What have I told you about opening up Day 24 of the Advent Calendar on Day One of Advent??! Okay – WHO STOLE BABY JESUS FROM THE LITTLE PEOPLE NATIVITY SET??! There is good news, though, friends. In the midst of the hustle and bustle of the impending holiday season, there is always good news. The good news in my world this year is that I don’t have to scramble for something to help me draw closer to the manger as I await the Christ Child this year. I am so very, very excited to dive into Scripture with the incomparable Elizabeth Foss, who wrote Blessed is She’s amazing Advent Journal. Not only is this journal beautiful to behold, my friends, but its contents … ahhhhhh! The contents I’ve allowed myself to peek at are like a warm cup of cocoa with your snuggie pulled to your chin sitting in your most comfortable chair on a chilly day with no one bothering you. It’s that good, y’all. Better, even. I can.not. wait to start. In fact, I am giving myself a teeeeensy weeeensy longer sneak peek tonight. Not too much. Just a taste. Because I, for one, want to savor and remember and really live the most important part of this season – that Jesus was born for you. And for me. This Advent, I want to be overwhelmed by a huge God who came as a tiny Babe and Who knows me intimately*. Will you join me? Today is THE last day to purchase in the U. S. for your journal to arrive in time for Advent. So … no more anxiety about Advent, okay? Let’s breathe deeply the present of this time of waiting. Let’s journey together and breathe Him in. Disclosure: This post contains affiliate links. If you click through this post to purchase the Blessed is She Advent Journal, a small portion of the proceeds go to my friend and fellow writer/speaker Mary Lenaburg. Thank you! And now, as promised, here’s even more good news for you who’ve made it this far! Any RCM readers (please be sure to subscribe on the sidebar of my home page!) 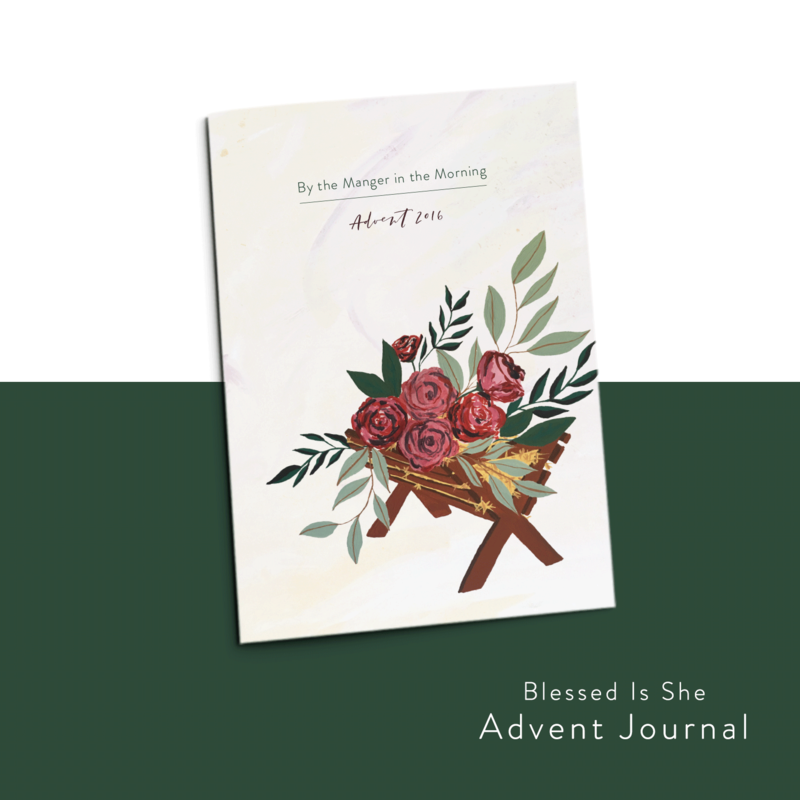 who click through and purchase the BIS Advent Journal through Mary Lenaburg’s affiliate links in this post (see above) between now and tomorrow, November 22nd at 5 p.m. PST will be entered to win their very own pack of original Blessed is She Jesse Tree Calendar cards! I used my own cards as a daily meditation last year with my family each day of Advent. So good!! Comment away, friends! One randomly selected winner will be announced*** on Wednesday, November 23rd. ***UPDATE 11/23/2016: Congratulations to Sofia B.! She won the Blessed is She Jesse Tree cards. Happy Advent one and all! This post is about Dr. Peter Kreeft. Sort of. Your Advent prep sounds a lot like mine 😀 Great giveaway – thanks for offering it! Yes, it’s not pretty, but it (usually) gets done. 😀 Thanks for stopping by, Ginny! I hope you enjoy your lovely BIS journal! !